Tasty fish tacos - Cooking @ planetfem - recipes, advice, good food and more! 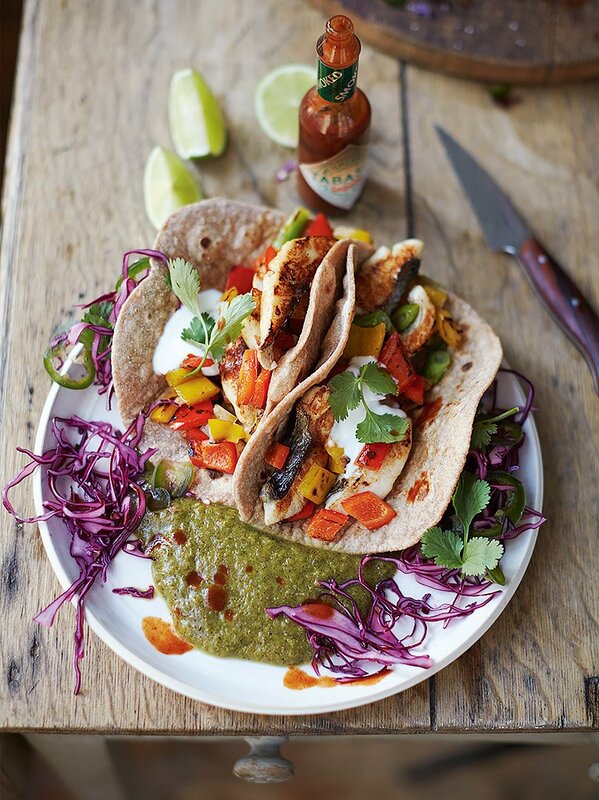 Tasty fish tacos with the haddock fillet provides us with a source of seven different essential vitamins and minerals, it’s super healthy for the entire family. It makes an excellent choice for those who want to start eating fish but are not accustomed to a strong fish flavor. Haddock is an excellent source of protein. A 3-ounce serving of cooked haddock contains 20.6 grams of protein, which is roughly 40 percent of the recommended daily intake. Protein is necessary for the prevention of several chronic diseases, including cardiovascular disease, cancer, osteoporosis and diabetes. Low-fat, low-calorie sources of protein, such as haddock, offer benefits to your diet. Do you find tasty and useful haddock in your diet? Then try “Tasty fish tacos”. 1 minute on each side until soft, turning when you see bubbles. Cover with a tea towel to keep warm.